Googling questions has become second nature as part of Internet culture, and as such the search giant has become increasingly adept at answering our queries. But even though Google can already decipher complex inquiries, it has trouble understanding meaning behind what people are asking. That ends today—Google says the Google app will now understand a question's intent. Google's technology will essentially break a question down to understand precisely what someone is asking, even if it's vague and rather complex. The result is the ability to understand a question like a human would—just less emotional and prone to argue. Among Google's examples, the search giant says it can understand superlatives and ordered items, as well as questions with dates in them. 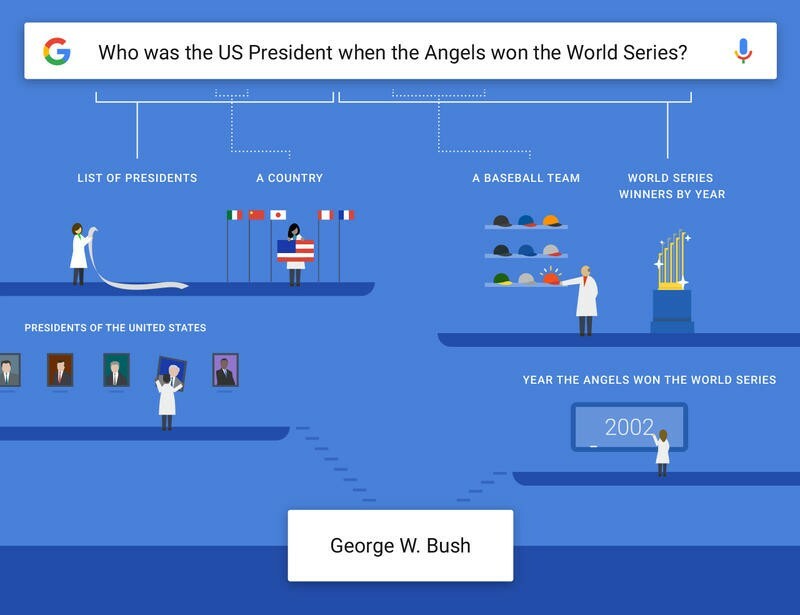 It can also understand a combination of the two, making it easy to get an answer for something like, "Who was the U.S. President when the Angels won the World Series?" Everyone knows the answer to that… right after asking Google. Very impressive stuff, especially when Google searches become more proficient at understanding natural language. Now that Google says its search can better understand the complexities of the English language, maybe we should take this as a challenge. Can you stump the big Internet machine? Maybe one day Google will have the answer.